Don't be fooled by the simplicity of the Greek Cross quilt block. As illustrated in the sample quilts shown, you can create lots of interest with a simple quilt block. 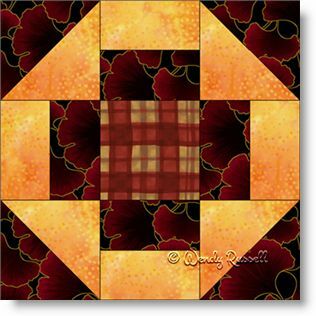 The Greek Cross block is a wonderful block to choose if you are new to quilting. Only three shapes are used in this block -- the square, rectangle and the half square triangle. These days it is rare to find a quilt block that does not contain the half square triangle unit. It is probably the most commonly used quilt patch (after the square of course). I have offered the instructions for this nine patch quilt block in three different sizes. So, choose the size you want and the cutting board awaits!